Do you want to schedule a start and stop date that your WordPress forms will be accessible to site visitors? Learning how to enable WordPress form scheduling ensures that your forms only remain available for submission for a set amount of time. In this article, we’ll show you how to use the scheduling feature found in WPForms’ Form Locker addon so people can only submit forms on your WordPress website when you want them to. Your WordPress forms are generally available to site visitors day and night so they can get in contact with you whenever they need to. For instance, you might have a simple contact form on your site’s Contact page, an order form that collects payments using Stripe or PayPal, or a user registration form so loyal followers can access locked content after paying their dues. However, there may be times when you want to limit the time your WordPress forms are available to site visitors. 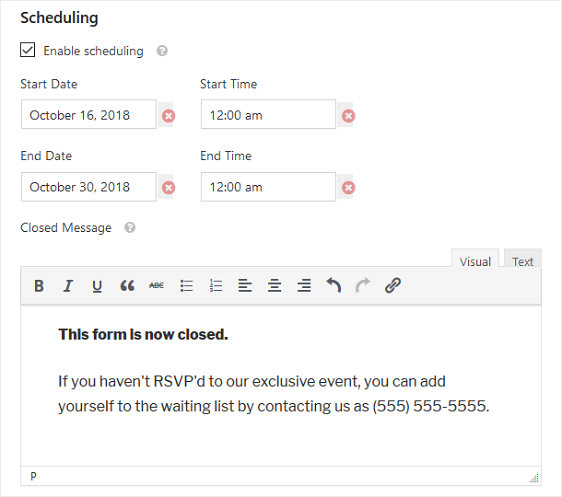 If you’ve decided that you need to limit the time your WordPress form is open for submission, keep reading to find out how to enable WordPress form scheduling on your site’s forms using WPForms. 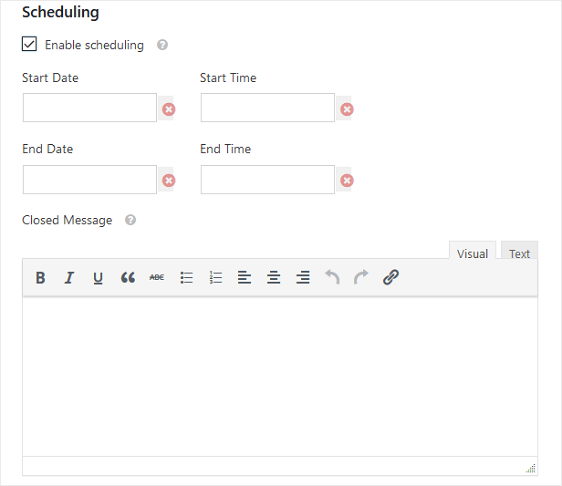 You can enable the form scheduling feature on any WordPress form you create using WPForms. That’s because we strive to make form creation as easy as possible, while still offering our customers a slew of neat features to take advantage of. For our example, we’ll create a party invitation RSVP form using the Form Templates Pack addon. For help using the Form Templates Pack addon, check out our helpful documentation on installing and using this flexible addon that has over 100 different form templates to choose from. 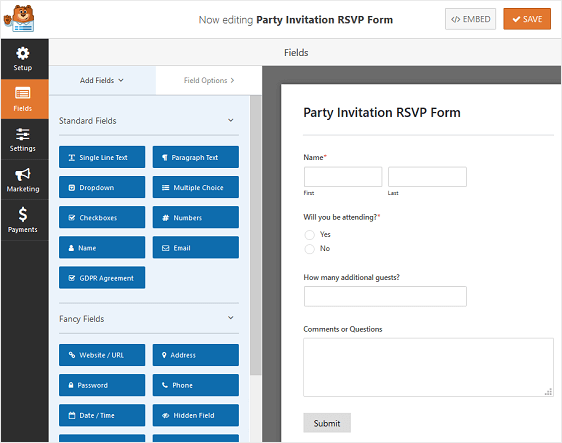 Once the Form Templates Pack addon is installed and activated, simply choose the Party Invitation RSVP Form template and let WPForms create a form for you. 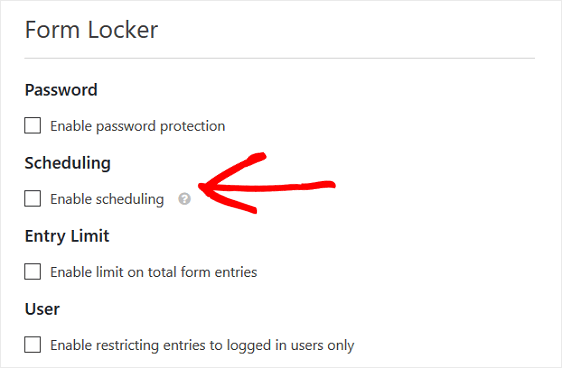 Click on the Enable scheduling checkbox under the Scheduling section to enable form scheduling. Start Date and Start Time: when the form will automatically open for submission on your site. End Date and End Time: when the form will automatically close to site visitors. Closed Message: the message that will display to site visitors who try to submit a closed form on your website. If you want, you can always leave the Start or End fields empty, only scheduling an opening or closing date for your site’s forms. And there you have it! You now know how to enable WordPress form scheduling for your site’s forms so you can dictate how long your forms will be open for submission. If you want to learn about protecting your WordPress forms from spam submissions, be sure to check out our guide to creating spam-free forms on your website so you can keep your website secure. 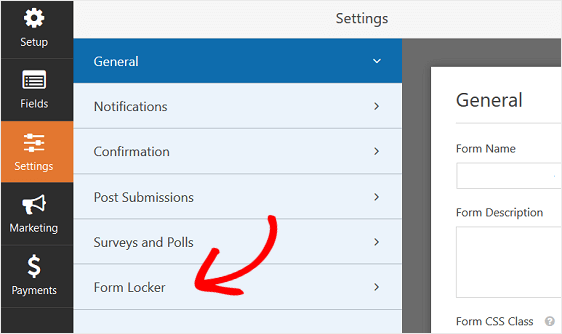 In addition, check out how the Form Locker addon helps add an extra layer of protection to your forms by password protecting them.